After 19 years of drought across the Colorado River Basin, we know that our state’s water supplies are vulnerable, and we can’t rely on fluctuations in the weather — or a season of above-average snowpack – for the water security we need. We are using more water than we have. As our population continues to grow, we need to implement structural, far-reaching conservation solutions to support healthy communities, businesses, and ecosystems. Although snow has been plentiful this winter, last year’s drought devastated local businesses, communities, and fish and wildlife across the state. We can’t afford to forget the images from just months ago: firefighters dropping gravel and mud on wildfires because there wasn’t enough water in the rivers, a first-ever “call” because of record-low water on the Yampa River, farmers standing in dry alfalfa fields, outfitters unable to operate because of low rivers, and fish so stressed from warm temperatures and low flows that anglers were urged to stay away. Governor Polis has already shown leadership in his commitment to funding Colorado’s Water Plan, which lays out a blueprint for addressing the risks and uncertainties of a continued dry future. In his State of the State address, Gov. Polis committed to providing bipartisan, sustainable funding for the plan, and pledged that his administration would do its part to implement the Plan. He commended the work of his predecessor, Governor Hickenlooper, but acknowledged that there is much more work to do. He also requested $30 million this year to help pay for the water plan. We recently learned that the budget proposed to the Colorado legislature would cut this $30 million in proposed funding down to $10 million. 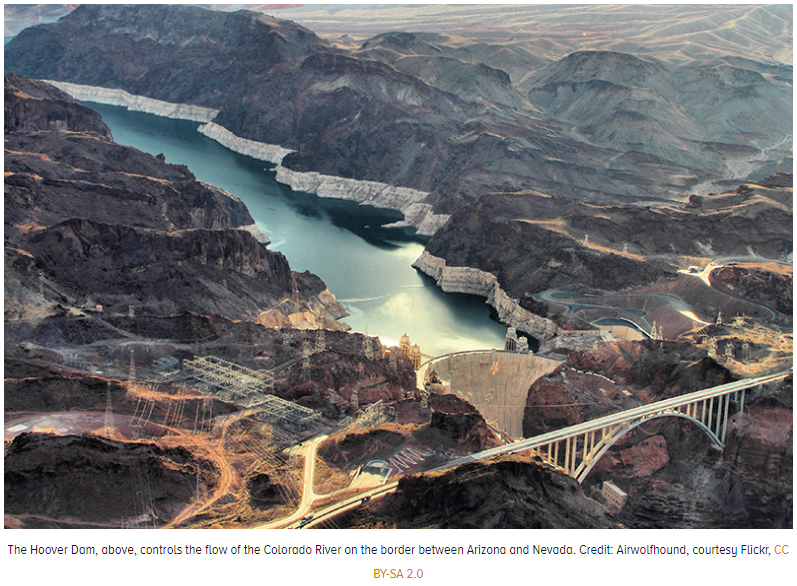 This reduction primarily cuts funding to lay the groundwork for the implementation of a multi-state Colorado River strategy that will be reviewed by Congress this week. The conservation strategies envisioned in that process can increase our water security and introduce more flexible water management strategies to the benefit of all Coloradans. To implement this program, all Colorado River Basin states will need to reduce their use of water for the benefit of the whole system. In Colorado, this “demand management” would be a voluntary and market-based approach to conservation. It would be a flexible, dynamic way to provide greater water security, with benefits for the entire Colorado River Basin. The program would pay willing water users like farmer, ranchers, industries, cities and towns to temporarily reduce their water consumption, thereby keeping more water in our rivers and reservoirs. Those reductions can result from temporarily reducing the number of acres under irrigation or switching to crops that use less water, or similarly instituting drought restrictions in cities and towns. This multi-state program, including demand management, is premised on stabilizing the levels in the Colorado River Basin’s largest reservoirs, providing greater certainty that we will have enough water in dry times. Conserved water would then be delivered to Colorado’s water “bank account” in Lake Powell, supporting the health of our rivers along the way. These increased water-flows support small businesses, rural communities, the outdoor recreation industry, and river habitats as well as birds and other wildlife. On March 19, seven Colorado River Basin states finalized their drought contingency plans (DCPs), setting the stage for a more secure water future. A key part of the DCP for Colorado is the opportunity to store saved water in Lake Powell. It’s now up to Colorado to create a demand management program and starting putting water into it. Colorado has an opportunity to start building the framework we need to protect our water, but we can’t do it without the resources and support to construct proactive conservation measure like our demand management program. We know how critical it is to protect our state’s rivers, provide clean, reliable drinking water supplies for our communities, and preserve our agricultural heritage. Colorado has made some progress toward implementing the Water Plan, but further action and investment is urgently needed. Authors of this essay include Matt Rice, American Rivers; Bart Miller, Western Resource Advocates; and Aaron Citron, The Nature Conservancy. Colorado lawmakers, citing lower revenue forecasts and competing needs, have dramatically reduced proposed funding for the Colorado Water Plan and Colorado River drought work, providing roughly one-third of what Gov. Jared Polis had requested in his budget for this year. This year, the Colorado Water Conservation Board, the agency charged with overseeing the state water plan and developing the Colorado River drought contingency plan, said it would have $30 million to work with as a result of the governor’s request. Of that, $20 million would be used to pursue work on a historic, multiyear initiative to find ways to reoperate reservoirs and voluntarily cut back water use to relieve pressure on the drought-stricken Colorado River. The rest would go toward grants to fund entities across the state that are working to implement the Colorado Water Plan. But lawmakers aren’t required to honor all budget requests from governors, and Joint Budget Committee members said they would provide just $10 million. That appropriation leaves intact the $1.7 million the Colorado Water Conservation Board had budgeted this year to do public outreach and technical studies for the drought contingency plan. The rest, $8.3 million, will be used to fund water plan grants over the next three years and comes in addition to the annual funding toward water plan implementation that the Colorado Water Conservation Board has been providing from its budget. Even with the reduction, state officials said they are pleased that, for the first time since it was finalized in 2015, general fund money is being dedicated to the water plan. Polis’ office said the new general fund allocation is an important step forward. “There is always more work to do, but we are excited the JBC has provided unprecedented general funds to make progress toward the state’s water plan,” the office said in a statement. Colorado water leaders have been pleading with the state to move quickly on the drought contingency plan to ensure there is some protection should Colorado and its neighboring states in the Upper Colorado River Basin be unable to meet legal obligations to deliver water to Arizona, California and Nevada. This year’s task is to determine if there is an equitable way to cut back on water use, where and how those cutbacks would occur, how to measure the reductions and how to protect the environment, local economies and the legal rights of water users while the drought plan is in effect. 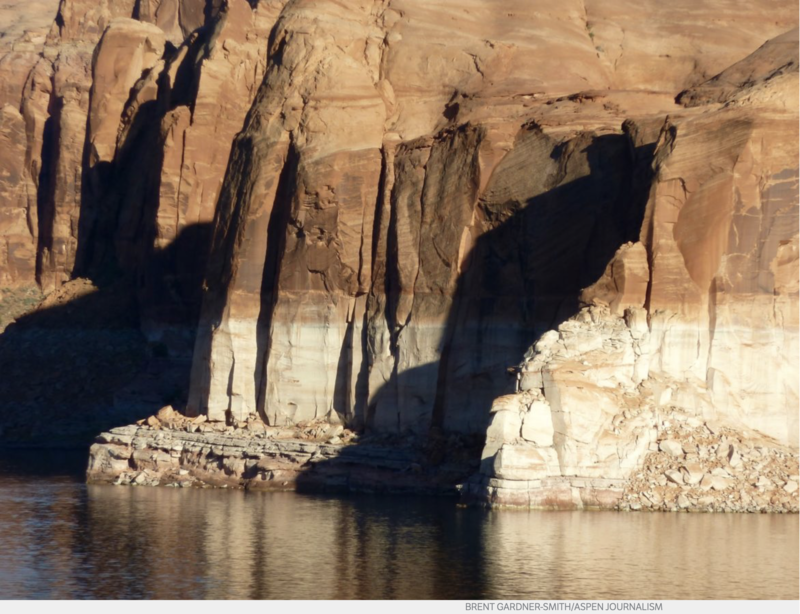 Up to 500,000 acre-feet of the water saved through such efforts, known as demand management, could be stored in Lake Powell via the new seven-state drought agreement. Despite the need for action, Andy Mueller, general manager of the Glenwood Springs-based Colorado River Water Conservation District, said the enormity of crafting a statewide demand management plan requires that the state be prudent in data gathering and analysis. Financing water projects in Colorado has rarely been easy, particularly in small, rural communities or when there is no clear connection to taxpayers. After finalizing the Colorado Water Plan in 2015, officials estimated the state would need roughly $100 million a year to fully fund it and help close the gap on water shortages the state is likely to face by 2030. Four years later, though, little progress has been made on securing a permanent funding source, although several nonprofits, such as the Walton Family Foundation, together with the state’s Interbasin Compact Committee are exploring funding options, including a possible ballot initiative in coming years. The committee represents the state’s eight major river basins plus the Denver metro area and was involved in the Colorado Water Plan’s development. The state Senate on Thursday adopted Colorado’s $30.5 billion budget, often termed the “long bill,” for 2019-20 and sent it on to the state House for the next step. The budget includes a last-minute compromise between Senate Democrats and Republicans, who have been at war for the past two weeks in an effort to delay action on items like the “red flag” bill and other measures. The compromise added $106 million to the state’s transportation funding, using existing general fund revenues. With that addition, the Colorado Department of Transportation might have $336 million in one-time money available for road and bridge projects. That amendment still must be adopted by the House in order to be included in the final budget. The budget did not increase the state’s rainy-day fund, which would help weather such a downturn. As passed by the Senate, the rainy-day fund is at 7.25 percent of general fund revenue, or about $843 million. However, economists have warned that Colorado needs a rainy-day fund at least double that amount to survive even a moderate recession. A slowdown like 2008’s Great Recession would require $2 billion, according to a George Mason University study from a couple of years ago. While most of the budget package sailed through, one bill drew more opposition than one might expect. 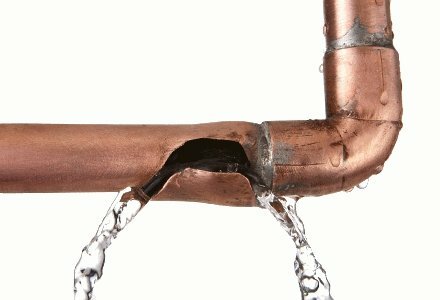 Senate Bill 212 puts $10 million in general fund revenue into continued implementation of the state water plan. But that’s $20 million less than was sought by the previous administration (Gov. Jared Polis didn’t say one way or the other how he felt about it) and for the first time tapped general fund dollars, rather than severance tax revenues. The directors of the Colorado Water Conservation Board voted Thursday [March 21, 2019] to start exploring the feasibility of a demand-management program as part of a larger effort to manage falling water levels in Lake Powell and Lake Mead and avoid violating the Colorado River Compact. In November, the CWCB adopted a demand-management policy stating that a demand-management program would be a voluntary, temporary and compensated. Former state Sen. Gail Schwartz is expected Wednesday to join the board of directors of the Colorado Water Conservation Board, a state agency established in 1937 to protect and develop the state’s water supply. In doing so, Schwartz will become part of the first female majority on the CWCB board, and she’ll be the first woman to represent the Colorado River Basin on the board. 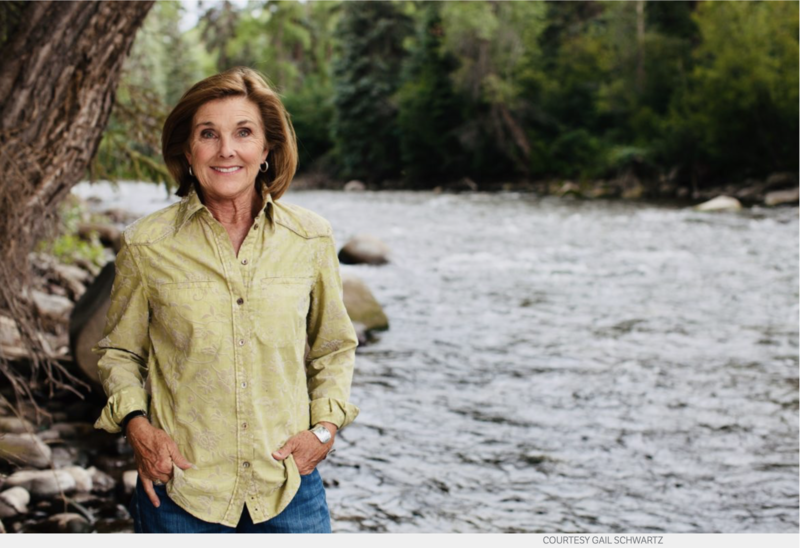 Schwartz moved to Aspen in the early 1970s, lived in Snowmass Village when she served in the state Senate for two terms (2007 to ’15) and then moved to Crested Butte. While there, she lost to Rep. Scott Tipton in her race for Congress in 2016. She has since moved to Basalt and has now volunteered for a three-year term on the CWCB board. Schwartz and two other women — appointed by Gov. Jared Polis and now slated to be confirmed on March 20 by the state Senate — are expected to be sworn in Wednesday at a CWCB meeting in Fort Collins, and then six of the 10 voting members of the CWCB board will be women. And if the board’s five nonvoting members are added to the mix, it means eight of its 15 members will be women. Will a majority of women on the CWCB board help solve the water challenges facing Colorado and the Colorado River system? “I think it will change the conversation,” Schwartz said, noting her experience in the state Legislature, where about 40 percent of the lawmakers were, and are today, women. And Schwartz won’t be alone in making state water history this week. Jaclyn “Jackie” Brown of Oak Creek will become the first woman to hold the CWCB seat allocated to the Yampa, White and Green river basins in northwestern Colorado. Brown is the current chair of the Yampa, White and Green river-basin roundtable, and she is one of only two women on it. She also is the natural resource policy adviser for the Tri-State Generation and Transmission Association. That said, Brown said her goal in serving on CWCB is to represent all the water users in the northwest corner of the state. Also joining the board this week is Jessica Brody, the general counsel for Denver Water, who will be representing the seat allocated to the city and county of Denver. Brody said she’s proud to follow in the footsteps of Patricia Wells, who was also the general counsel for Denver Water and served on the CWCB from 1996 to 2000 and from 2012 to this past January. She noted that Wells also was the first female city attorney for the city and county of Denver. And Brody will be the fourth woman to represent Denver on the CWCB board, following Wells, Barbara Biggs and Carolyn McIntosh. Of the remaining six voting members on the CWCB board appointed by the state’s governor, three are women. They are Curran Trick, the first woman to represent the North Platte River Basin; Heather Dutton, the first woman to represent the Rio Grande River Basin; and Celene Hawkins, the fourth woman to represent the San Miguel, Dolores and San Juan river basins in southwestern Colorado. The other three appointed voting members on the CWCB are Steven Anderson, who represents the Gunnison River Basin, which has never had a female representative on CWCB; Jim Yahn of the South Platte River Basin, which has previously had two women on CWCB; and Jack Goble of the Arkansas River basin, which has not had a woman on the CWCB since Vena Pointer, who was a founding board member and served from 1937 to 1948. Of the nine appointed voting members, four (Schwartz, Brown, Brody and Hawkins) are Democrats, four (Curran, Dutton, Anderson and Yahn) are Republicans and one (Goble) is unaffiliated. There also is one ex-officio voting seat on the CWCB board reserved for the director of the Department of Natural Resources, which brings the number of voting seats to 10. Dan Gibbs now holds that seat. And there are five nonvoting seats, two of which are currently held by women: Rebecca Mitchell, the director of the CWCB and the agency’s second female director, and Kate Greenberg, who is the first female commissioner of agriculture in Colorado since the office was created in 1949. As such, here’s how the gender math works out: Six of the 10 voting members are women, and eight of the 15 members are women — a female majority in each case. Still, Mitchell recognizes the gender milestone being reached. However, the water sector in Colorado is still dominated by men — including many older white men — so the first female majority on the CWCB board is notable for those who follow the agency. “It’s about time that we have this level of representation on our most important water board in the state regarding water policy,” said Tom Cech, co-director of the One World One Water Center at Metropolitan State University of Denver. He, along with William McDonald, wrote “Defend and Develop: A Brief History of the Colorado Water Conservation Board’s First 75 Years,” published in 2012. Editor’s note: Aspen Journalism covers rivers and water in the Colorado River basin in collaboration with The Aspen Times, the Glenwood Springs Post Independent, the Vail Daily, the Summit Daily, and the Steamboat Pilot. The Times published this story on Tuesday, March 19, 2019. In response to persistent and prolonged drought conditions throughout the southern half of the state and along the western border, ​the C​olorado Drought Mitigation and Response Plan​ was activated for the agricultural sector​ ​on May 2, 2018​, additional counties in northwest Colorado were added in September and activation remains in effect; information can be found HERE​. February and March-to-date have both seen impressive snow accumulation statewide, but especially in the southern half of the state where snowpack is currently above 150 percent of normal for all basins. This persistent moisture and near normal temperatures has resulted in significant drought improvements across the region. We will continue to monitor throughout the snow melt season to determine inflows to reservoirs and streamflow levels. Post wildfire flooding remains a concern and will be closely monitored. The daily flood threat bulletin can be accessed May 1 through September 30 ​HERE​. As of March 19th, exceptional drought (D4) and extreme drought (D3) have been entirely removed from Colorado. Severe drought covers just 0.63 percent of the state while moderate drought covers an additional six percent. Forty percent of the state is currently experiencing abnormally dry conditions, a significant improvement in recent weeks. Most of the western slope has seen three and even four class improvements in drought conditions since the start of the water year (see image below). El Niño conditions are now present, and will likely continue through spring (80 percent chance) and even summer (60 percent chance) of this year. Historically spring during an El Niño event trends toward wetter conditions, and the NOAA Climate Prediction Center outlooks for April, and for the April-May-June period show increased chances of wetter-than-average conditions, with less confidence in the temperature outlook. SNOTEL snow water equivalent statewide is 142 percent of average with all basins well above average. The highest snowpack is in the Southwest basins of the San Miguel, Dolores, Animas & San Juan at 158 percent of median, while the lowest is tied with both the Yampa-White and the North Platte at 128 percent of median (see image below). Many basins, as well as the state as a whole are near maximum observed snowpack for this time of year and short term forecasts indicate that an active storm pattern is likely to remain. Reservoir storage, statewide remains at 83 percent of normal but is expected to increase as soon as the runoff season begins. The South Platte, Colorado, and Yampa-White, all above 90 percent of average as of March 1st. Storage in the Arkansas and Upper Rio Grande basins are at 87 and 78 percent of normal, respectively. The Southwest basins of the San Miguel, Dolores, Animas & San Juan, and Gunnison remain the lowest in the state at 58 and 63 percent of normal, respectively. Streamflow forecasts are near to above normal statewide and have been steadily increasing in recent weeks. As a result the Colorado Basin River Forecast Center has adjusted their April-July unregulated inflow forecasts as follows: Blue Mesa Reservoir 960 KAF (142% of average) a 32 percent of average increase, McPhee Reservoir 480 KAF (163% of average) a 51 percent of average increase. The Lake Powell inflow forecast is 9.50 MAF (133% of average) an increase of 2.2 million acre-feet or 31% of average. The ​Drought Visualization Tool​ is now live; please take a minute to provide feedback on this tool ​HERE​. During the 2019 “State of the Basin Symposium” at Adams State University, the Rio Grande Basin was reminded that Colorado has a water plan as Heather Dutton, manager of the San Luis Valley Water Conservancy District and Rio Grande Basin representative on the Colorado Water Conservation Board, shared some insights on the Colorado Water Plan. Officially completed on Nov. 19, 2015 by the Colorado Water Conservation Board, the statewide effort followed an Executive Order from Governor John Hickenlooper and represents a great deal of work and input from many experts across the state. Dutton opened her remarks by giving a brief history of the San Luis Valley Water Conservancy District. Next, she turned the focus of her presentation to some of the components of the plan and the work of the Colorado Water Conservation Board. Dutton noted that the plan was designed to address the major water issues that Colorado faces. Some of the key areas that the plan focuses on include agriculture, conservation, land use, the supply-demand gap, storage, and watershed health environment, funding, and outreach and education. 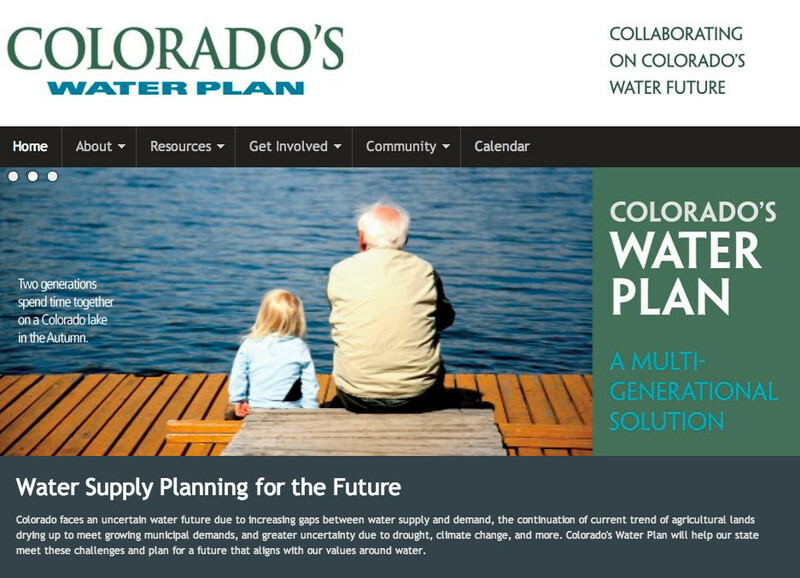 The plan has been called a roadmap for the future of Colorado’s water. There are numerous goals that the plan has outlined such as maximizing alternatives to permanent agriculture dry-up and the promotion of water efficiency ethic for all Coloradans. The overarching goal of the plan is to help Colorado meet its water needs relative to growing population levels and reach a degree of sustainability by 2030. Dutton also mentioned the Colorado Water Plan Grant Program, which is the funding portion of the plan that is designed to provide needed financial assistance for vital water projects across the state. “The CWCB is putting its money where its mouth is,” said Dutton. Dutton further noted that part of the process of creating the plan included gathering input from each of Colorado’s respective basin roundtables. Each basin was required to submit its own plan. This led to the Rio Grande Basin Implementation Plan. 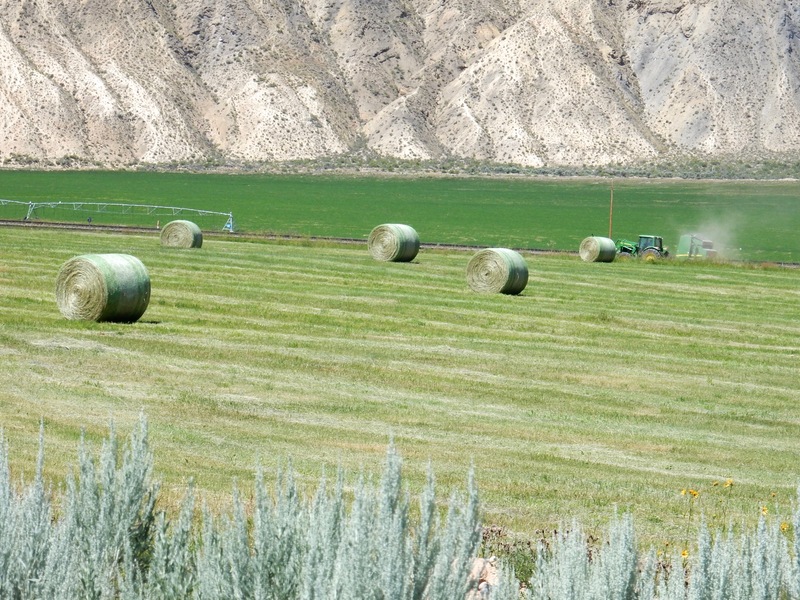 The result was the San Luis Valley water community having a voice in the entire process. Dutton acknowledged the work of many of the leaders that were present. 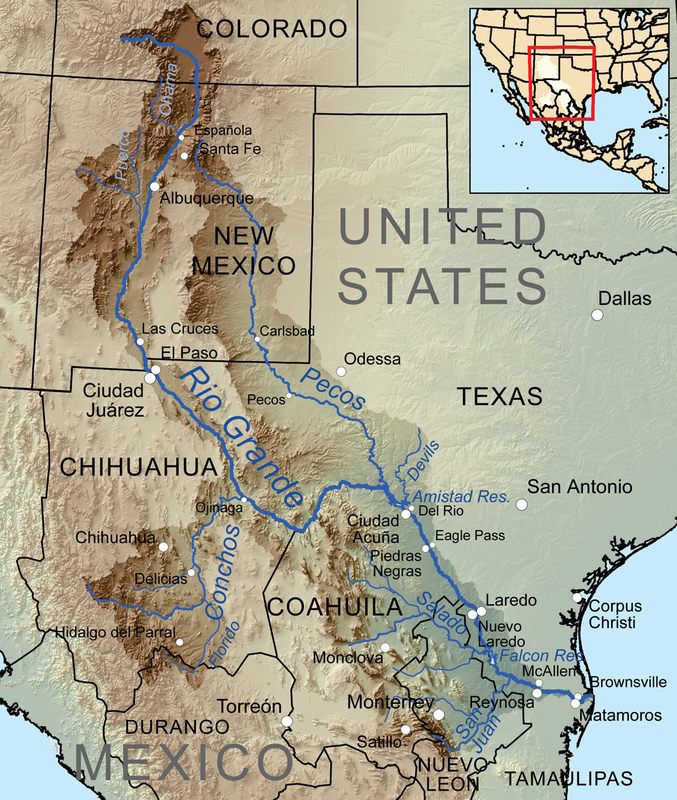 While the implementation process is ongoing, Dutton expressed optimism that Colorado Water Plan will continue help the Rio Grande Basin and the rest of the state see a brighter future when it comes to water.